you may or may not celebrate. In seasons past, I have written about the scary ghost stories and things that go bump in the night around Christmas. Be it the four ghosts of Charles Dickens' carol, or the punishing Krampus, the Ghost here remains fascinated by the nightmares of Christmas. 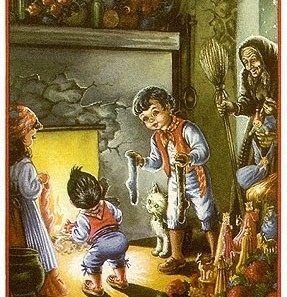 This year, I started reading about the La Befana, the Italian Christmastime legend. Anyone who knows the story of the Befana will know she is a kind, old woman with a broom who brings good children presents on Christmas. Many will tell you she is a witch. Delving deep into the Italian mythology, however, I have not found enough evidence to convict her of witchcraft. 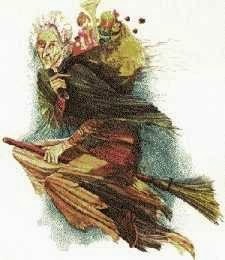 Perhaps the fact that Befana is old, with a broom at her side as a constant was enough for her to become a witch by association while the legend lived on and aged-- or, perhaps, it was the intent of the stories which were told to cast her always a witch. Never the matter; there is something about the legend of the Santa Claus-like woman being a witch which enamours the Halloween heart. And something, too, very true to the part of the witch in legend, where the indiviudal will become labeled a witch, for displaying simple pieces of the archetype. More formally, the story of Befana has tried to explain her as an heir to a heathen goddess, or at the least begetting her name from such an earth goddess. 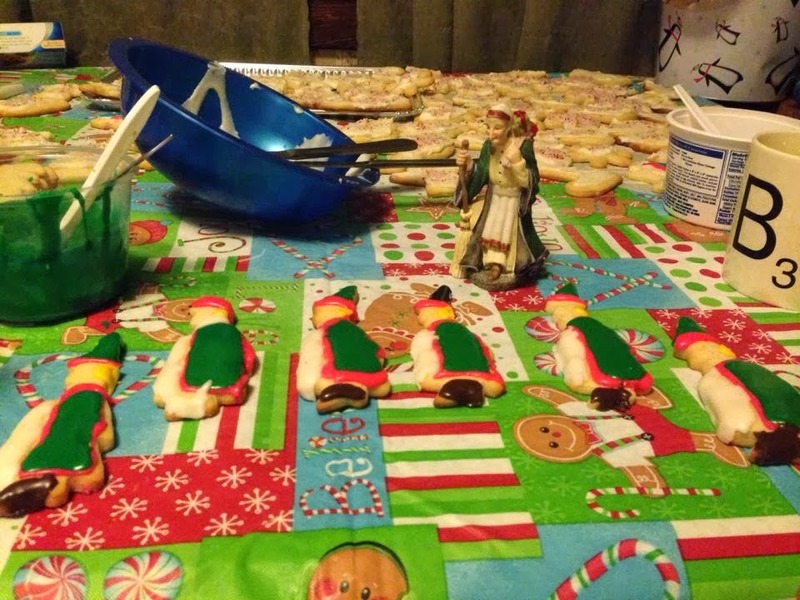 Befana is commonly described as a devoted housekeeper, who in the most often told story meets the three Magi on their way to visit the Christ child in Bethlehem, and, after they offer to have Befana join them on their quest, are turned down by her, for she has too much to do. Too many floors to be swept and kept clean, too much to do, to go on such a journey. Befana, on their leaving, regrets her decision, and has since spent the ages looking for the Christ child; finding other children on Christmas, and bearing them gifts, when she realizes she has not found the child she is searching for, yet. The Christmas ghosts, the Christmas horned-one, the Christmas witch. It would appear there is enough during the dark months while the snow is falling to keep a Halloween child involved, entertained, interested. 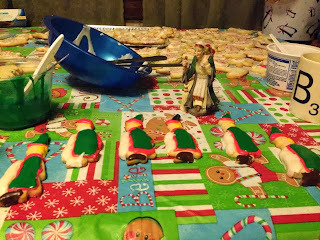 To further celebrate my Befana Christmas, I attempted cut-out cookies of the old woman, with the help of one of my witch cookie cutters-- to questionable success.